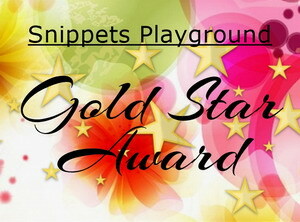 Despite Di's opening remarks on the Playground post this week she has made a beautiful card for us as inspiration to use up our own snippets and as always has given us details of how the result was achieved with hints and tips as well thrown in. 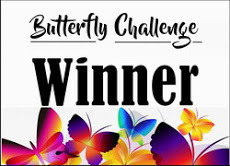 Just follow the link in my next paragraph to take a look and maybe use up some of your own snippets to enter for an opportunity to have your name put into the draw for the prize - of course you can just play along for fun if you already have these super items. I decided to make another Christmas card for the Playground challenge this time around and actually dusted the cobwebs off my parchment tools to use up some vellum snippets. I've made some poinsettias by die cutting them from the vellum and then embossing in the traditional way using ball tools which I quite enjoyed after a seriously long break of several years since I last did any of this type of thing. This is such a relaxing activity and I'm really not sure why the tools have lain abandoned for such a length of time and you could be seeing more parchment work from me at some point. 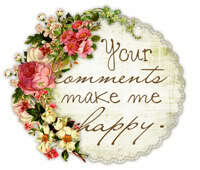 A piece of background paper was printed and trimmed to fit the card; two circular frames were cut from snippets of red and gold card; a sentiment stamped onto another snippet and die cut into a banner; greenery die cut from even smaller snippets of card and then the card was assembled adding two layered poinsettias with some gold Stickles for centres. 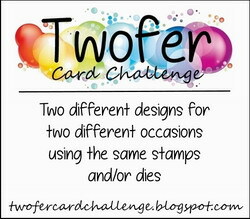 Cutting the circular frames has of course left me with two smaller red and gold circles to use on another card or two. I don't think I can follow you because I'm not on G+, Facebook or any of the other social media. Thanks for following my blog though. 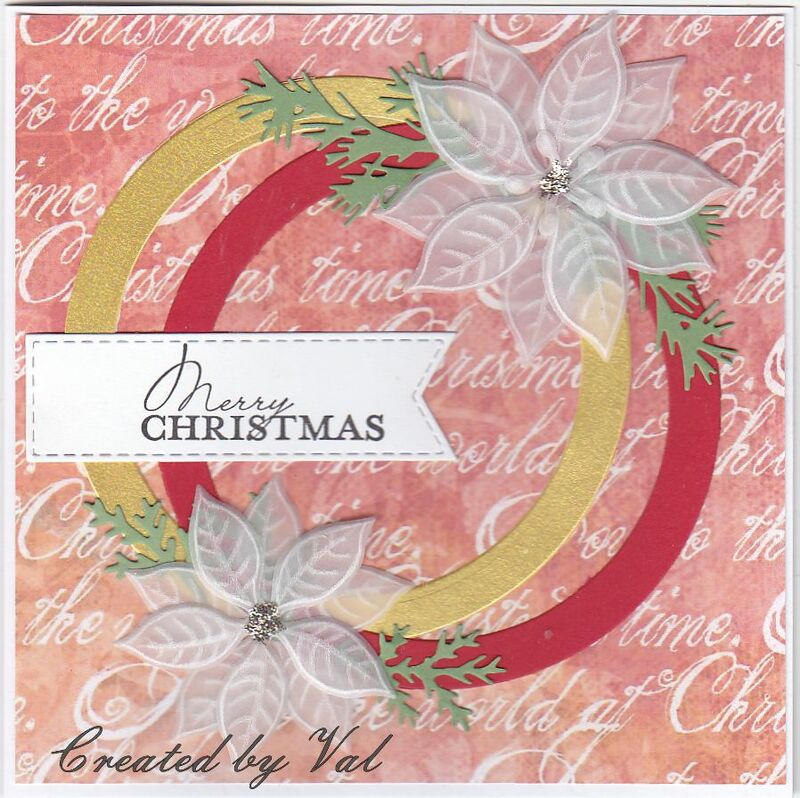 A fabulous Christmas card Val, I love the vellum Poinsettias too they finish the card perfectly. 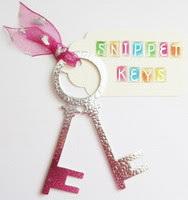 what a very brilliant snippets creation. 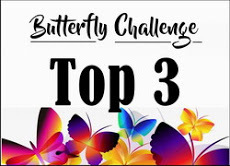 Your design is so pretty and those poinsettias are very beautiful too. 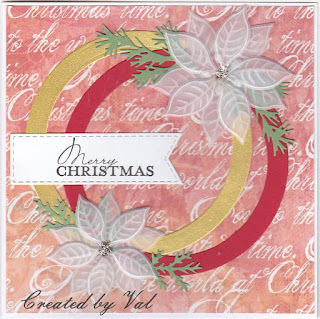 Gorgeous snippets card Val. Very pretty indeed. Wow Val - this is just stunning! Perfectly thought out and made, as always. LOVE the poinsettias in vellum - never would have thought to do that and they work so perfectly as well. This is a lovely card. The poinsettias are so delicate and lovely! I like the linked circle frames and your colours here look so pretty.